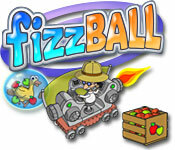 Fizzball is rated 3.5 out of 5 by 11. Rated 5 out of 5 by geobabe1 from Fun block-breaker game for kids and adults I'll say right up front that this game isn't super hard, so if you're looking for a high level of challenge, it won't be for you, but if you're terrible at block-breaker games like I am, it is really fun. You use a bubble to collect animals, and it gets larger the more you pick up--there are also acorns, coconuts, etc. that help expand your bubble, plus lots of powerups that float down on parachutes. If you hit an animal that's too big for you to collect yet, the sounds are pretty funny--and the chicken lays an egg, which is small enough to pick up. Every few levels, there will be a slightly different challenge, like pick up as many frogs as you can within 2 minutes, and so forth. If you lose all your Fizzballs, you can start over at the same level, just with your score reset, so you don't have to go all the way back to the beginning. 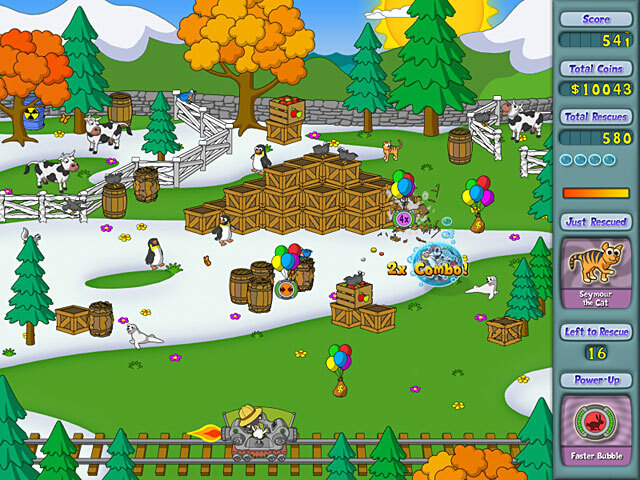 There is a kid mode, in which you can't lose your ball, that's perfect for little ones. My six-year-olds love it. Rated 5 out of 5 by FamilyDad1 from FUN, FUN, FUN for Kids & "Big Kids" Too! What can I say, I am an adult who loves Adventure, Puzzle & Hidden Object games, but I've also seen my grade school aged child playing this game for the last few years & he LOVES It! And what's not to love. The game is based on the classic break-out concept, but this time around with a living, breathing world of many adorable animals. You basically bounce a Fizz Ball off your paddle & break crates & other objects to free & collect cute animals to collect points. Along the way bonuses will drop down to enhance your paddle. And it's Fun, Fun, FUN!!! The graphics are crisp & bright. The sounds are cute & fitting for the game. They are never really annoying either. 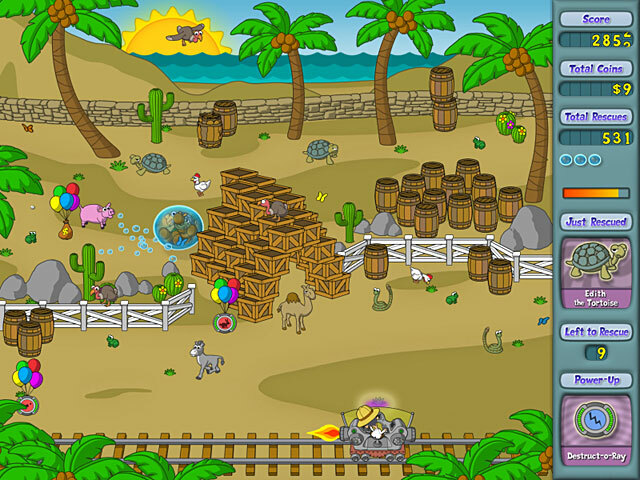 With each level you clear, the game shows your accomplishments & the animals you've saved, including new ones. Although this game is geared toward children, I can't help to think that one day I might try my hand at it because there are over 150 levels and an option to play with just the paddle (for big kids & adults) and with a safety net for younger children so that they never lose the ball. Overall hours & hours of cute, adorable family fun. And TONS of reply value since your child (or maybe even You) will want to revisit it over & over to get to that next level. Have FUN! Rated 5 out of 5 by 957mbca from Fun for young children and older ones, too. My five year old grandson loves to play this game, and my older ones do too. It is even fun for me to play. It is a relaxing game that I would recomend for younger children as well as ten on up. Rated 5 out of 5 by horseplaypen from Keep coming back to this I downloaded this game a year or so ago and have played it through at least twice. The power-ups and little challenges make this fun! Rated 5 out of 5 by RyeMcLaughlin from Fun brick breaking game This looks like it's just for kids, but anyone who likes brick breaking games should try this. The story is that you are a scientist who is trying to collect animals that have been abandoned on several islands. There are aliens involved, but the story isn't really important. 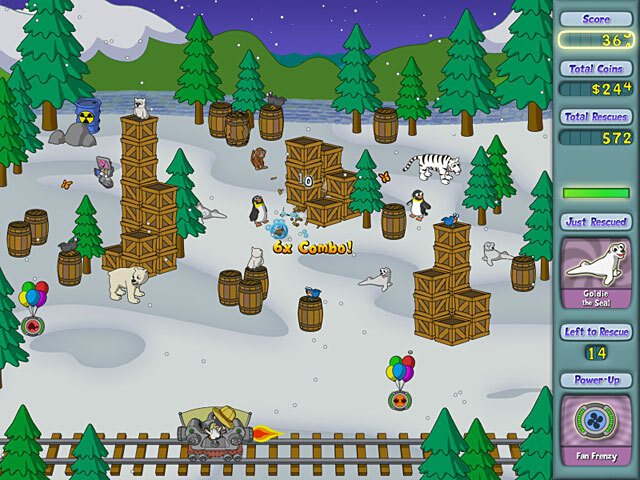 Instead of a paddle, you guide Professor Fizzwizzle back and forth bouncing a bubble that increases in size for each animal or food item you collect. Larger animals need a larger sized bubble, so you have to break open crates of food or knock nuts and apples out of trees to get large enough to collect them. Catch 50 butterflies and you earn an extra life. There are powerups to catch (not all of which are helpful) and many bonus levels. There are two levels of play Regular which is just the game, and Kids, which incorporates information about the animals you are catching. You can also earn trophies. The cartoon graphics are well done and the sounds the various animals make when you bump into them are funny. This game has 180 levels, so it will take quite a while to finish, and it has a lot of replay value. This clever addicting game is one of my favorite guilty pleasures. Rated 4 out of 5 by orenw from Needs Updating Fizzball is a lot of fun BUT it does not work with current versions of MacOS. Can't recommend this game until it is updated. Rated 4 out of 5 by cmjones99 from Cute Family Game This one is even for the little ones. You bounce a bubble, picking up animals and things. Thank you for something my 3 year old can do, besides Dora. Rated 1 out of 5 by SolarGoldfish from Will not run on newer Mac OS, black screen Running OS 10.11 and all I get is a black screen with music; must force quit to exit game. I wish I'd read other reviews before purchasing. We had this game years ago (not through BigFish) and my son wanted to play it again. We remember it being a fun and cute, if simple, game. If only they would update the game to work with current OS we'd give it many stars. Rated 1 out of 5 by mudixon from Does not work with Mac OS X 10.8.x or later Unfortunately, this game freezes on start-up if you are running a fairly recent version of Mac OS X. Please be download the demo first before outright purchase. We used to LOVE playing this game, but after updating to OS X 10.8, it ceased to work, requiring a force quit. Save animals and solve a mystery in this action puzzler featuring the beloved Professor Fizzlewizzle.